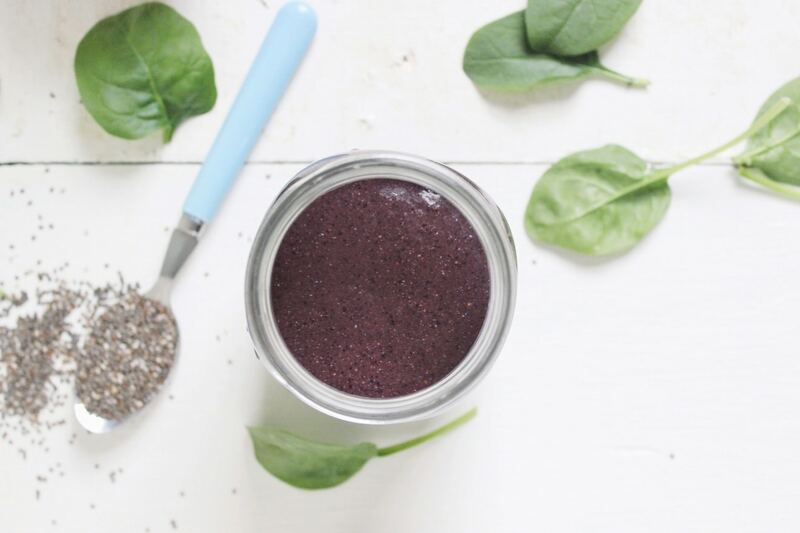 The Brain Food Smoothie with blueberries, chia seeds, spinach, nut milk and a touch of green tea. Brain food, we I need it. I really, really do. It’s no secret that I didn’t always fuel my body well. I spent years picking myself up and putting myself back down with alcohol, prescription drugs, sugar, caffeine, processed foods, energy drinks – you name it. And although it’s been years since I’ve quit gluten and most processed foods altogether, my brain still feels tired. Some days I feel like my brain is saying, “Hey remember when you were like super mean to me for all those years? Well now you need to treat me right or else. . .” and I’m okay with that. I probably do need the constant reminder. So I wanted to share with you all my green smoothie go-to, the one I choose to make 3 -5 times a week. My everyday classic, The Brain Food Smoothie. The one that is fueled with blueberries, chia seeds, spinach, nut milk and a touch of green tea. You only got one brain people, here’s my reminder that you gotta treat it right! Makes the perfect amount for one. Steep the green tea bag in the warm water for 3 minutes and then discard the tea bag. 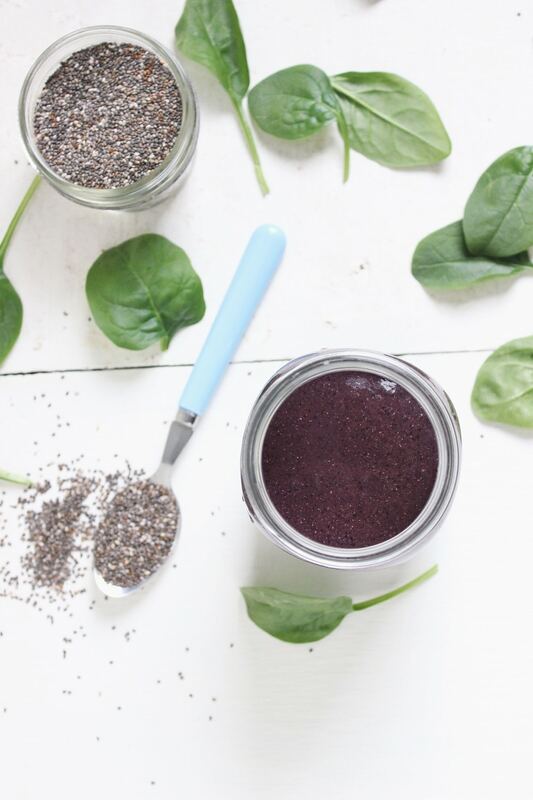 Blend the spinach, blueberries, banana, chia seeds, green tea, almond milk + ice on high until creamy and smooth. I have a green smoothie every morning myself (I love black kale in it! ), thank you for the idea to bring my green tea into the smoothie :-)! I am SO into this sister!! Looks amazing!! Of course, I am going to use decaf green tea but wow, how simple and delicious! There you go again…with your simple yet DELISH treats! I love this!! And wouldn’t have thought to add green tea. What a great idea!